My main reason for starting to play disc golf was to get exercise. I have back issues and was actually paralyzed at one time. This caused me to put on a bunch of weight. There is the added bonus of getting to spend time with buddies doing something i really enjoy doing while exercising. I also own a pro pull that i bought about a year ago to help me build arm strength and fine tune my form. According to IRS Publication 502, medical expenses are “the costs of diagnosis, cure, mitigation, treatment, or prevention of disease, and the costs for treatments affecting any part or function of the body.” The publication goes on to clarify in its definition that these costs include equipment needed for these purposes. Exercise equipment, including disc golf equipment, may meet the terms of this definition, and might be a deductible expense, depending on a few factors. 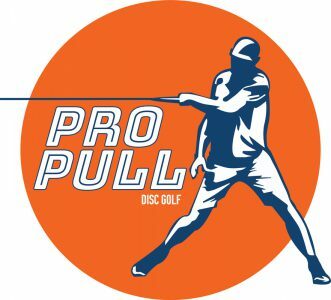 My wife gave me the ProPull Trainer as a Christmas present. It’s a nice resistance tool for building strength. It could use a little fine-tuning in terms of how it smacks the arm/wrist on the follow-through and I haven’t quite figured out how to use it just right for forehand throws, but not something that keeps me from using it on a regular basis and messing around with it on mock hammers which I can feel working some back and shoulder muscles. I’m over 50. As far as training goes, I don’t train for disc golf like I did for 30 years playing ultimate. But keeping core in shape with simple push-ups and sit-ups regime that takes 15 minutes per day as well as a little bit of resistance work with equipment like the ProPull has made my golf game better. I’ve done enough rehab over the years that I’ve developed an appreciation for working with resistance tools such as this. Getting a couple of baskets for my backyard and practicing putting also helps! As far as I’m concerned, every hour out playing golf and walking in the woods with my dog and/or my kid is better than an hour in the office! I wasn’t a fan of these questions and recall that I didn’t quite answer them accurately. What would be great to know in addition to these questions is to what extent players exercise specifically for the purposes of improving at the sport. 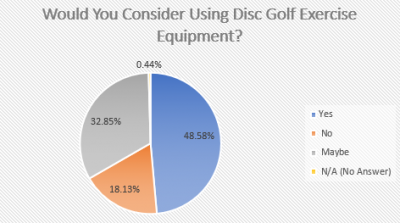 If I answered that Exercise was the most important aspect I meant that all the exercise I do outside of Disc golf is intended to get better at disc golf. I feel that’s a good measure of how seriously players take the sport. 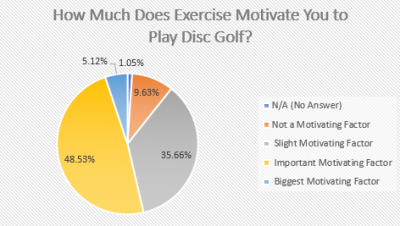 Do you do specific exercises, fitness routines in order to improve at disc golf? How often do you do the following exercises to improve your disc golf game, etc. After a total knee replacement almost two years ago I used disc golf as a part of my rehab. Physical therapy 3x per week and 3 weeks after surgery disc golf on my local 9 hole, but short, course at least once a day for the rest of the summer. I currently walk four miles every morning and then play disc golf a couple of times a week. The walks are at a brisk pace with four 100 foot steep climbs which is good for the heart. The folks my age who have taken up disc golf as a form of exercise seldom seem to stay with the sport but I’m not sure it would be different with any other sport. I wish there were more venues or ways to connect with the other older guys who play.